My name is Bryn, and I run the blog The Wine Chronicles. I started blogging because I have a passion for writing and sharing stories. I love travelling, reading, and a great cup of coffee or tea. 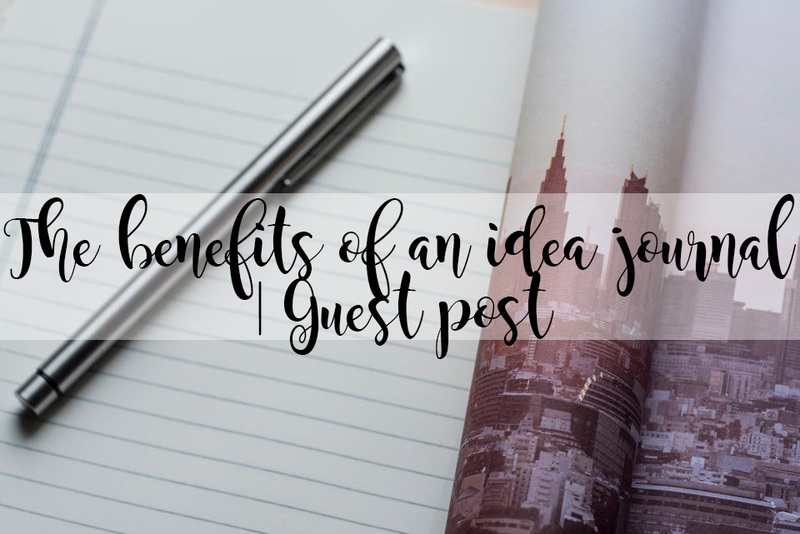 If you like the following post I wrote, head over to my blog to check out more similar content! And of course, I must give a huge thanks to Kimberley for letting me write for her blog today. She’s a very caring and insightful individual, and I’m glad she gave me this opportunity! So with that said, I hope you enjoy my post! When I participated in the Disney College Program, I took a class called Creativity and Innovation. As one of our assignments, we had to keep an idea journal to jot down any ideas that we might have during the class’s eight weeks. My professor encouraged us to write about everything from favourite songs to philosophical thoughts. I was always bad at keeping a journal, but as the weeks went on, it became easier to think of subjects to write about. Although it’s been a year since I participated in the College Program and the Creativity and Innovation class, I still keep my idea journal with me and use it constantly. I highly suggest you use one too because it brings so many benefits! The greatest benefit an idea journal has is that it enhances your creativity. The more you “exercise” your creativity by writing down ideas, trying new things, or even learning new things, the stronger it’ll be. Everyone has creativity; even if you think you don’t, you do! You only have to use it like a muscle and exercise it in order to make it stronger. When you exercise your creativity, you’ll gain better problem solving skills. When you solve tough problems, you’ll be tapping into your creativity, which will of course be stronger now that you’ve been exercising it. Who knew that just jotting down date ideas, recipes, or blog topics could help you problem solve? And if you’re like me and have a million thoughts running through your mind all the time, keeping an idea journal can help with mental clarity. As soon as an idea pops in my head, I grab my idea journal or my phone if I don’t have it with me and write it down. If I don’t initially like the idea, I still keep it because it might lead to new and better ideas when I come back to it later. These are only a few benefits that an idea journal can bring you, and it is so easy to incorporate one into your daily life! You can carry around a small notebook, or if you use a bullet journal, you can dedicate a section to ideas in there. Even a note on your phone is a great start. There are no limits whatsoever to what you can write down; you can write about a weekend trip idea, how you would make a movie adaptation of a book you love, a mood playlist, or even personal goals. I encourage you to start an ideal journal soon, and to try to come up with three creative ideas a day. You won’t believe how easy it is! Make sure to follow and say Hi to Bryn over on her social media accounts which are listed below!